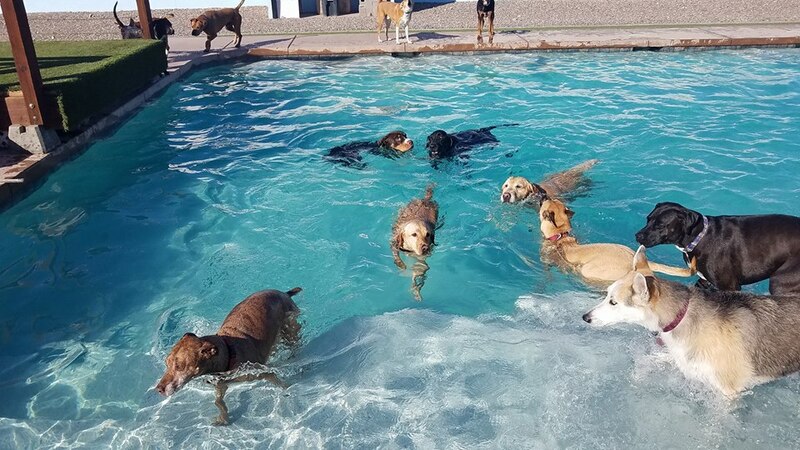 The Coolest Pool for your Pups! 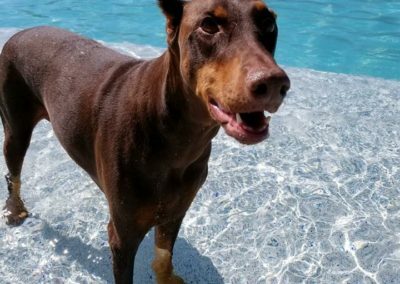 Do you have a dog that loves to jump off the side of the pool? 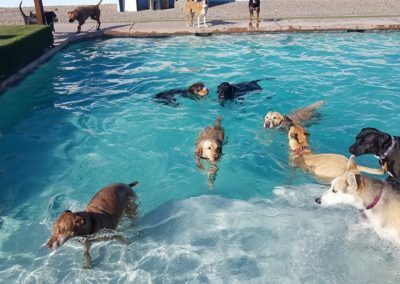 Or are you part of some of the awesome Dock Jumping Clubs in the area? 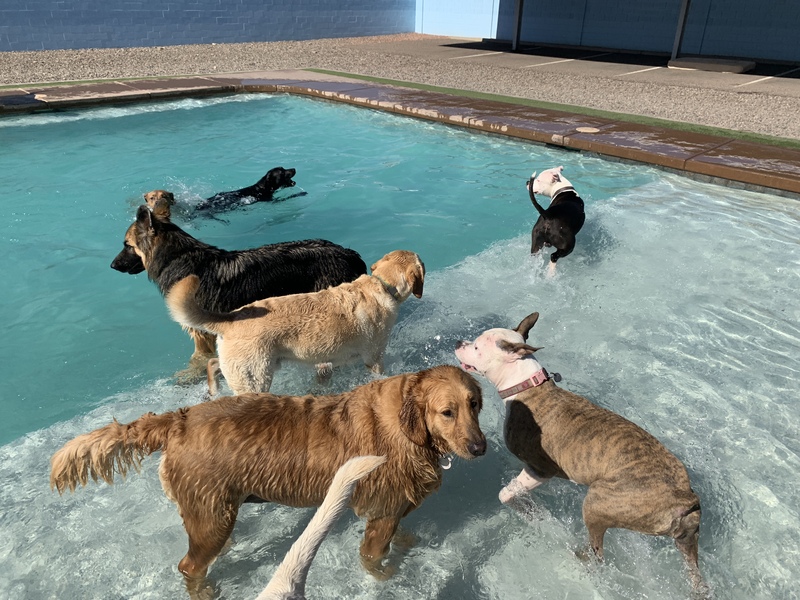 We have a custom dock built here at The Furshire for those pets that need a place to train and practice with their owners. 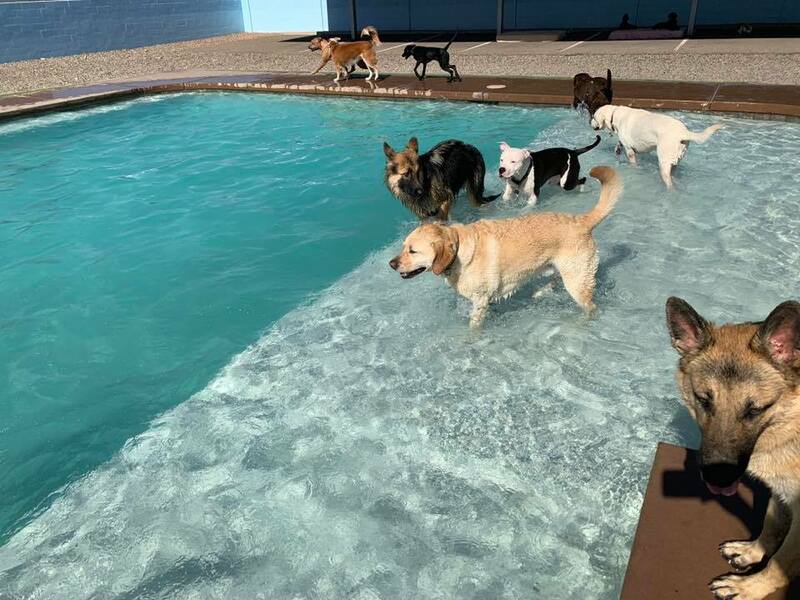 We are able to provide dock rental by appointment only, please give us a call with any questions or to reserver your appointment. 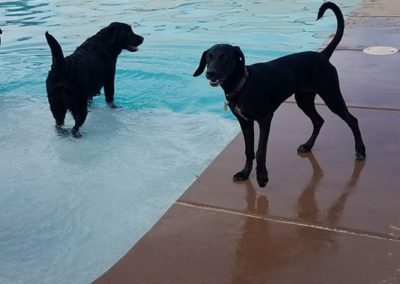 Trainers must check in/out. 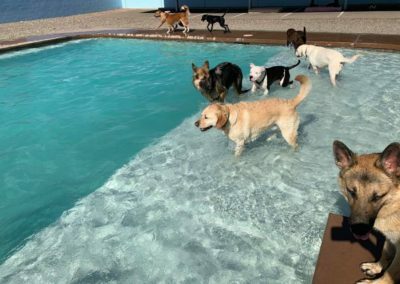 Please arrive 10 minutes prior to your scheduled start time to get the walkie talkie, and set up. 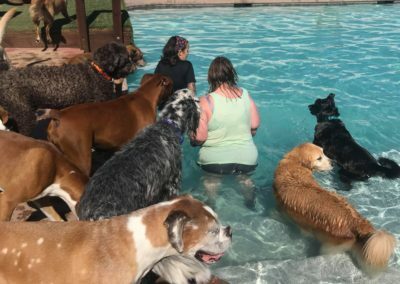 The Furshire staff will lock/unlock the back pool gate. 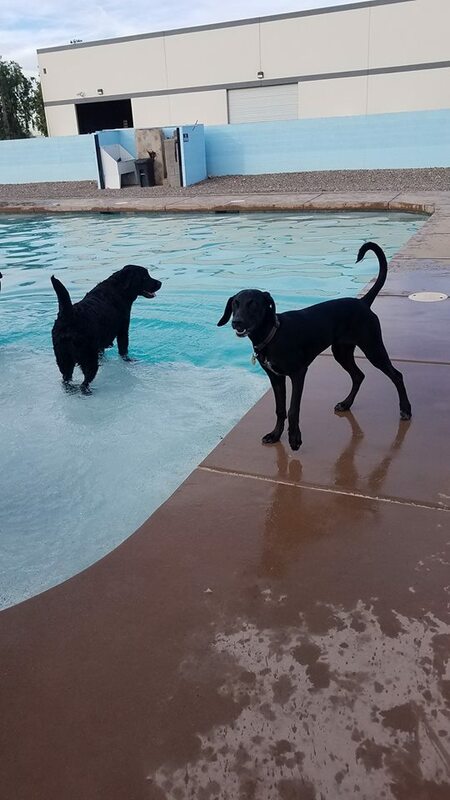 There might be people using the pool prior to you, so please do not go into the pool yard until your scheduled time. 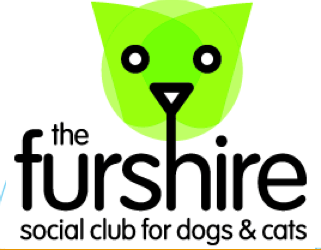 A Furshire staff member will give you a 10 minute warning that time is about to expire. 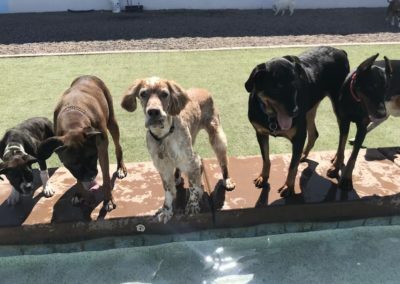 A pooper scooper, poo bucket and water bowls will be provided for your use. 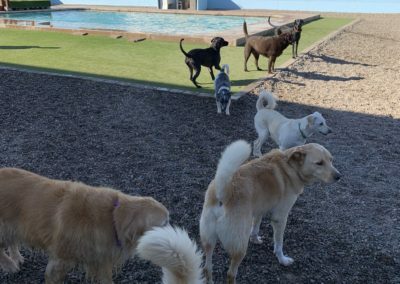 Please make sure all poop is picked up after each pet. 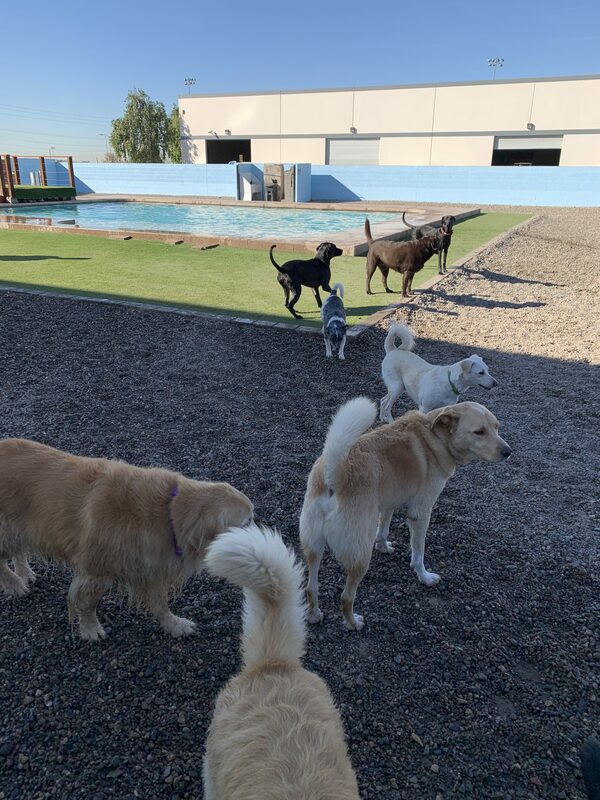 At the end of your rented time we ask you please socialize outside of the gate. 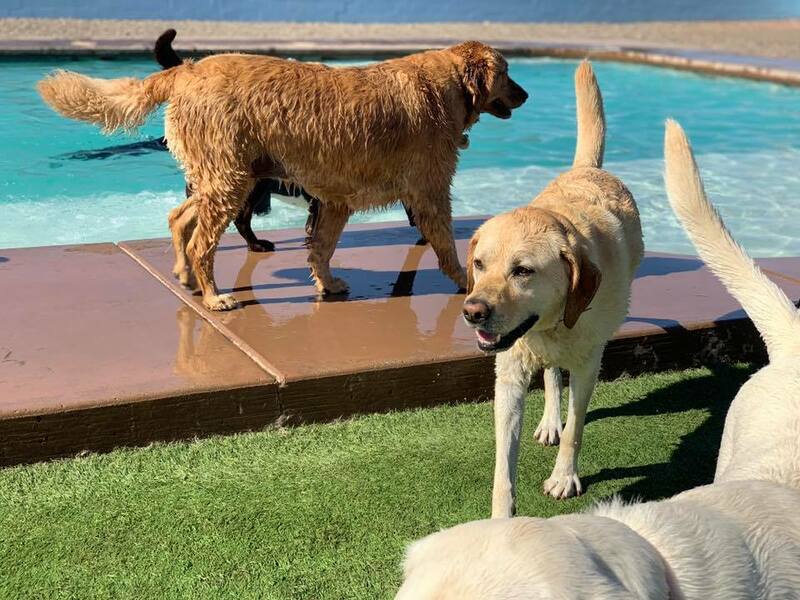 Also be curious since another club or client might be renting the pool behind you and will need to park. 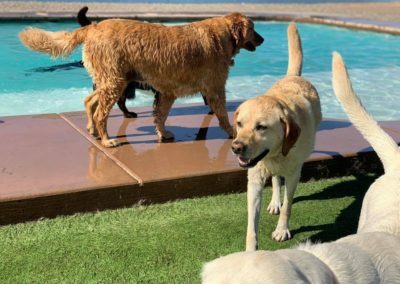 Every pup visiting with us gets a chance to swim in our awesome in-ground pool! 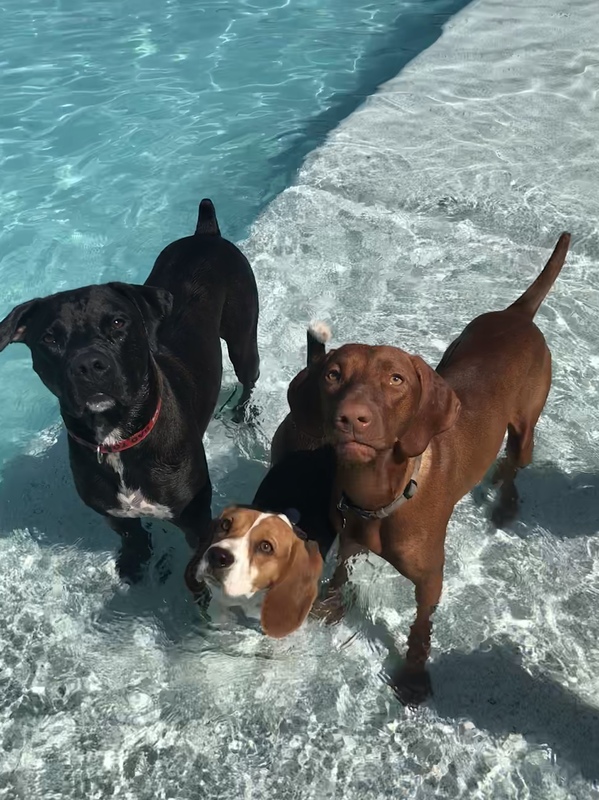 We run pool time for daycare and boarding kiddos 7 days a week, 365 days a year. 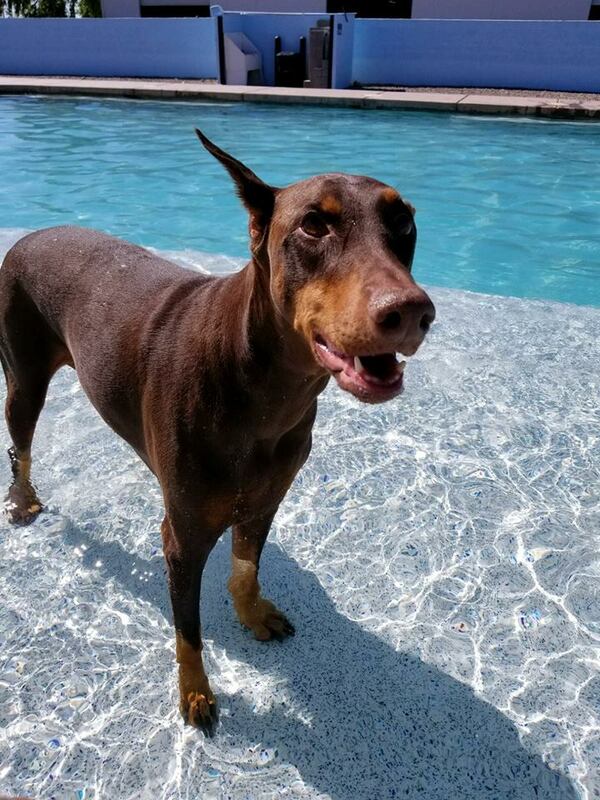 If the pool is ever unavailable we will do our best to make you aware. 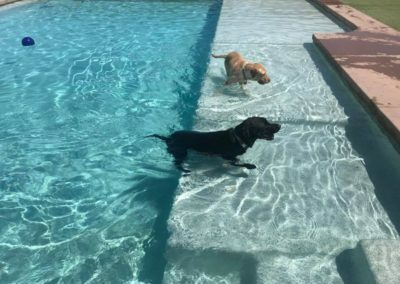 Our pool is not heated, but during the summer months our staff will join the dogs in the water for play time, exercise and therapy. 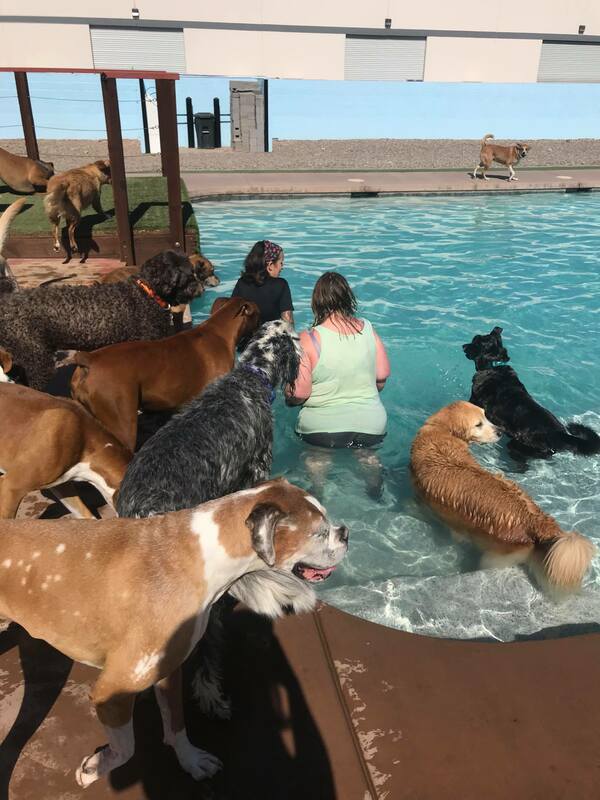 Here at The Furshire we love getting the chance to teach your pets how to swim and get them feeling comfortable in a new setting! 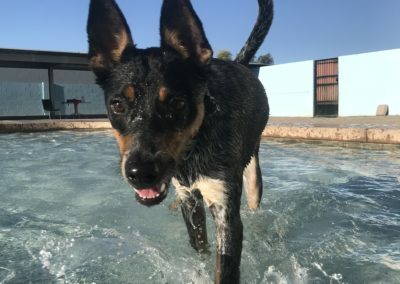 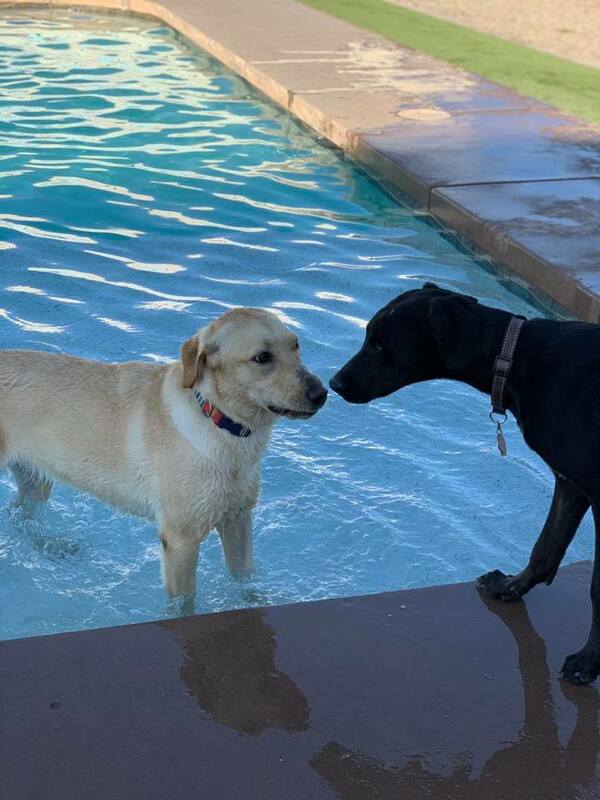 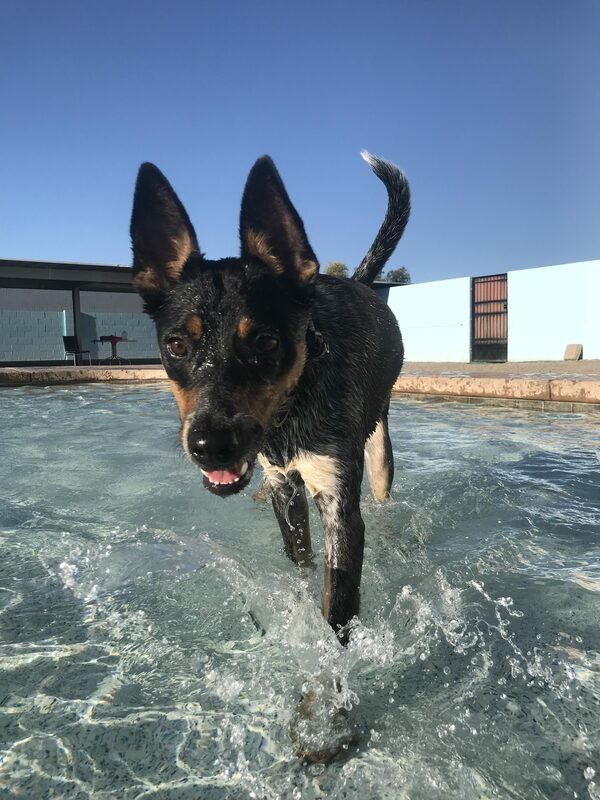 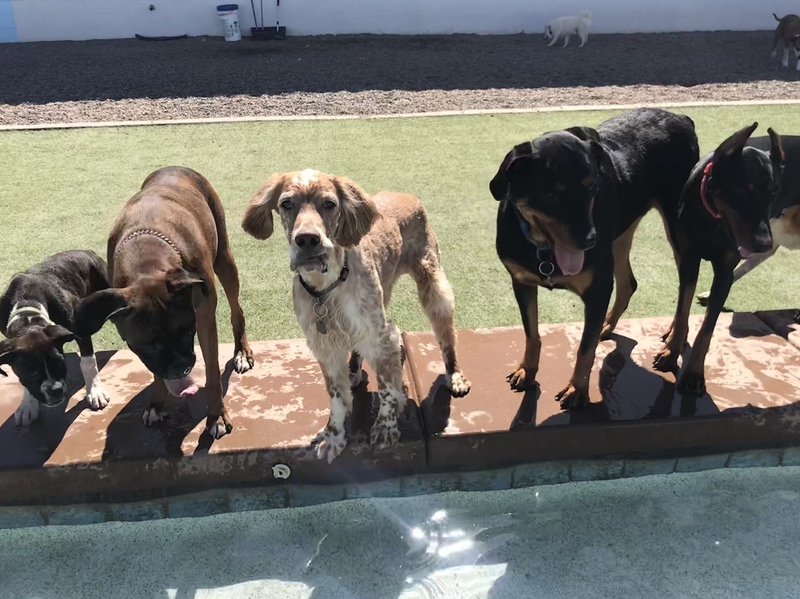 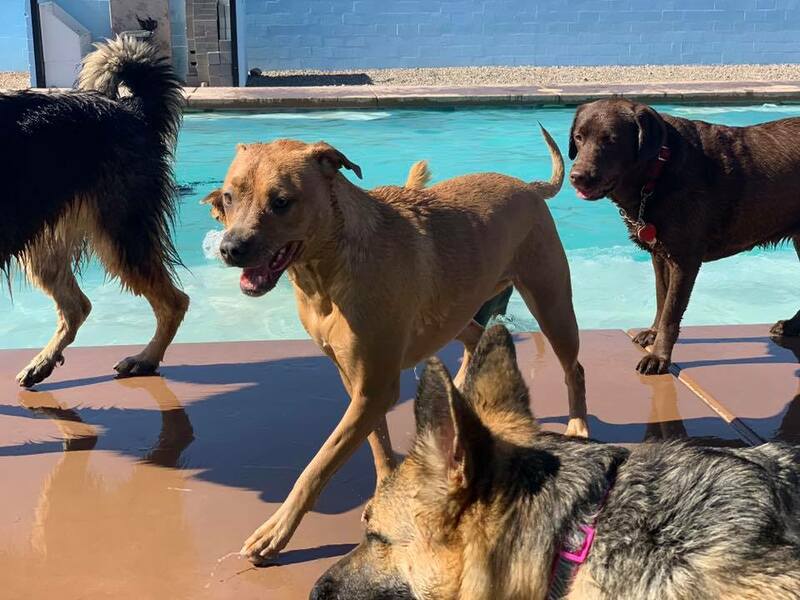 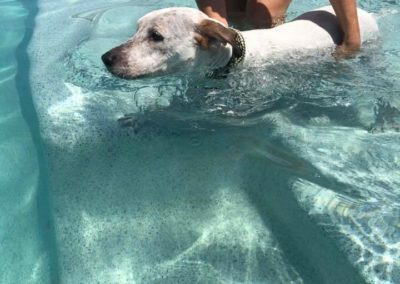 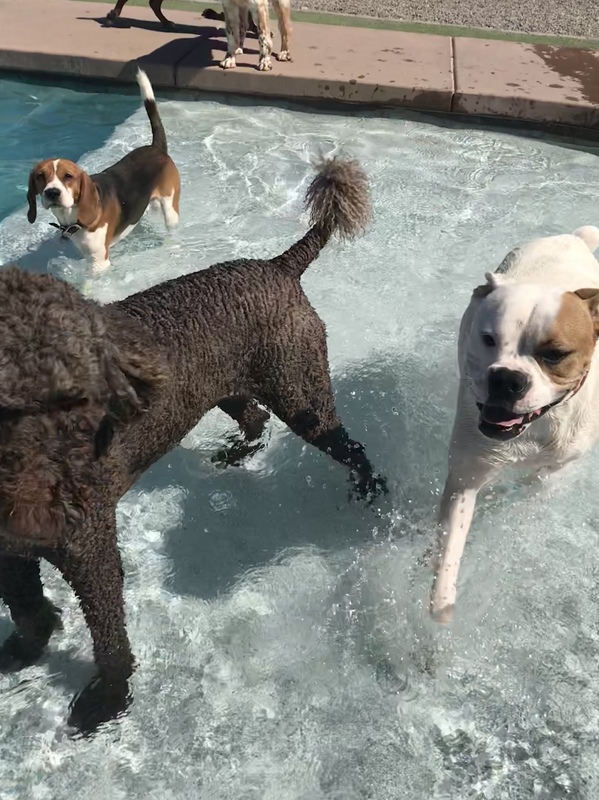 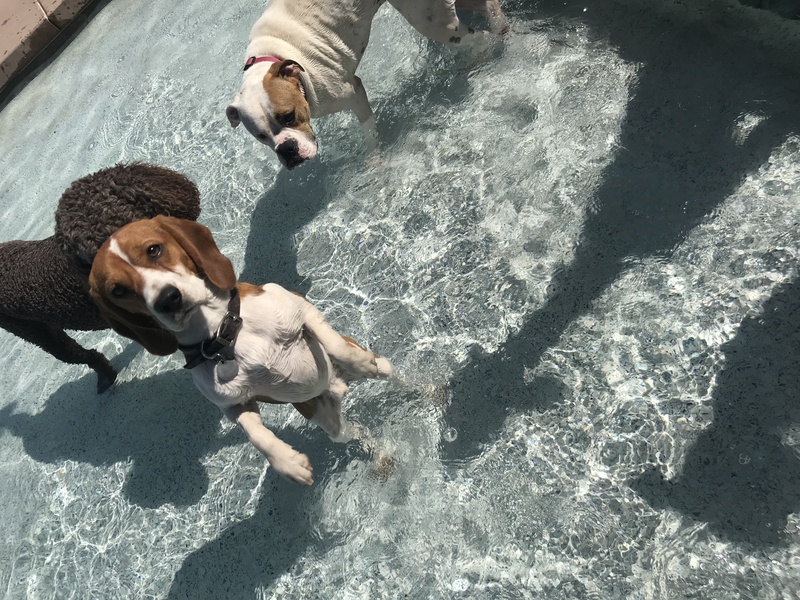 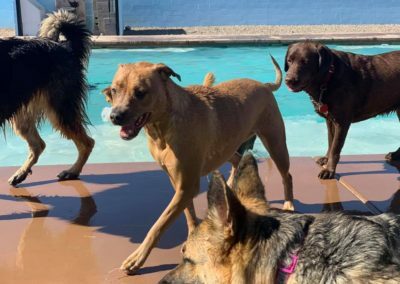 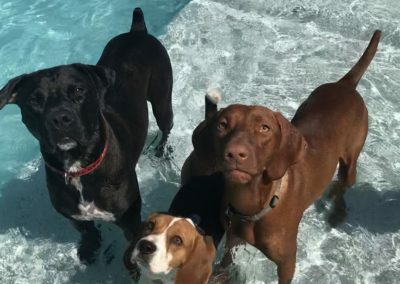 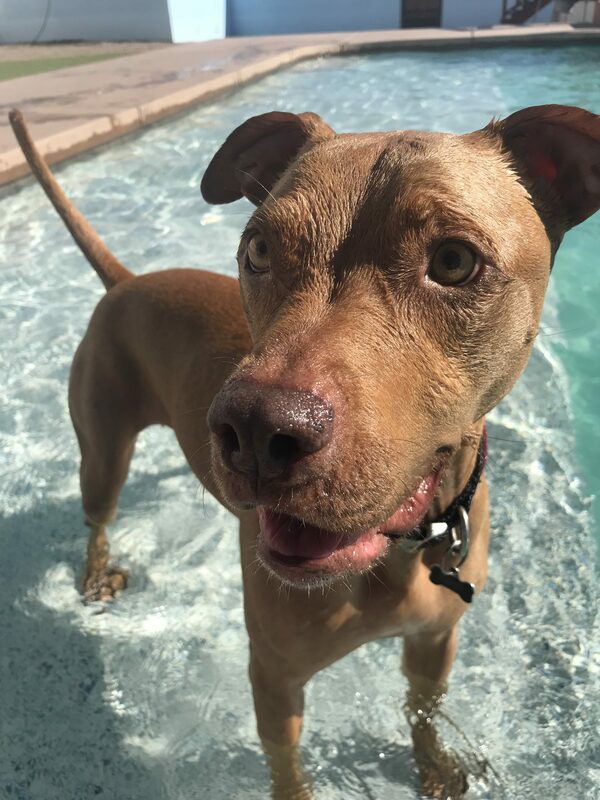 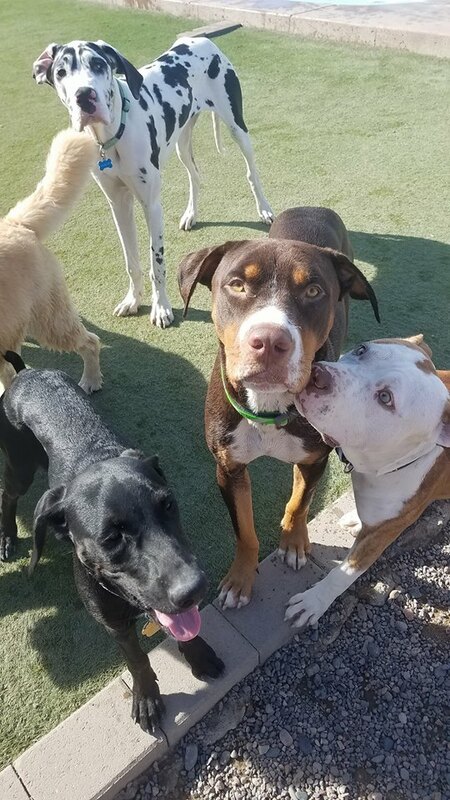 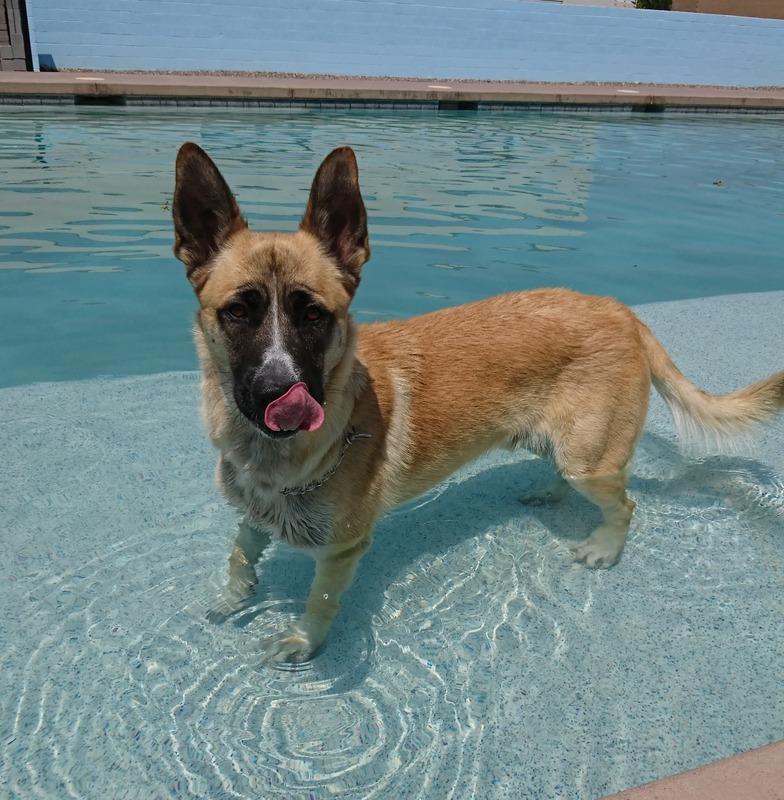 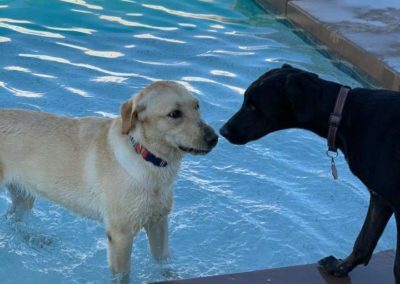 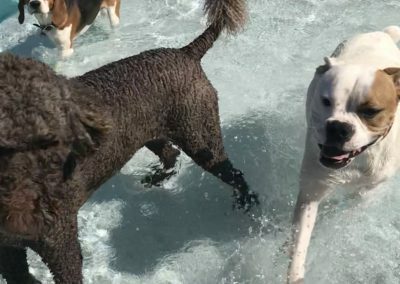 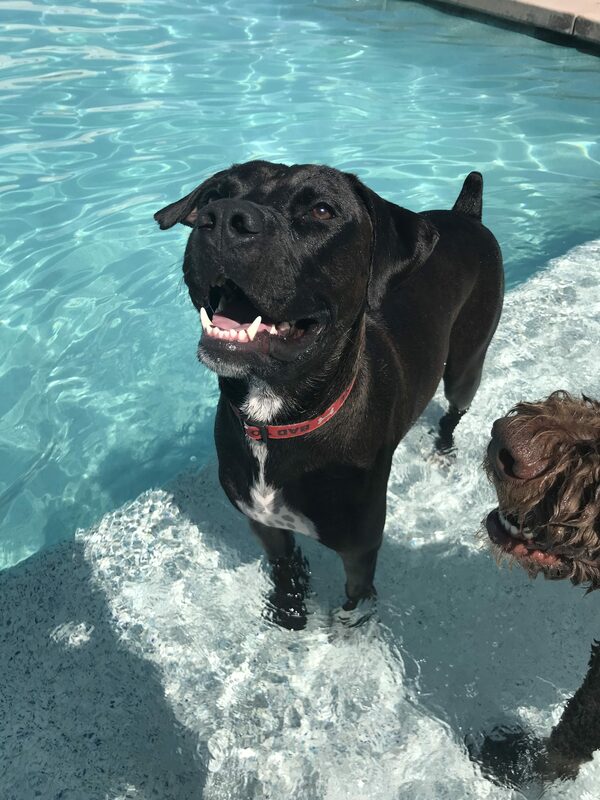 It’s also a great idea for younger puppies to know their way around water, especially with all of the backyard pools we have here in Arizona! 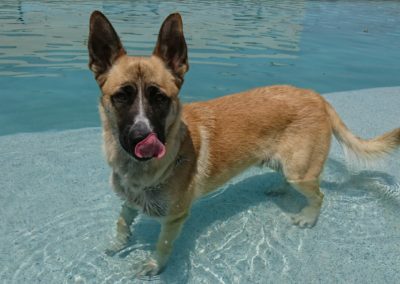 Check out the vaccinations tab for more information on what your fur baby needs to come and visit us! 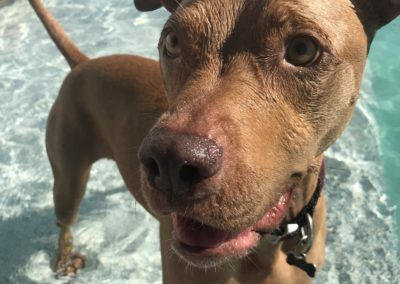 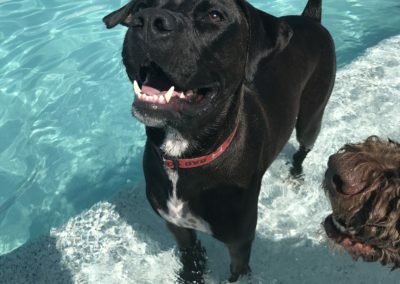 Sometimes our fur babies need a little extra help, and pool therapy might be the answer! 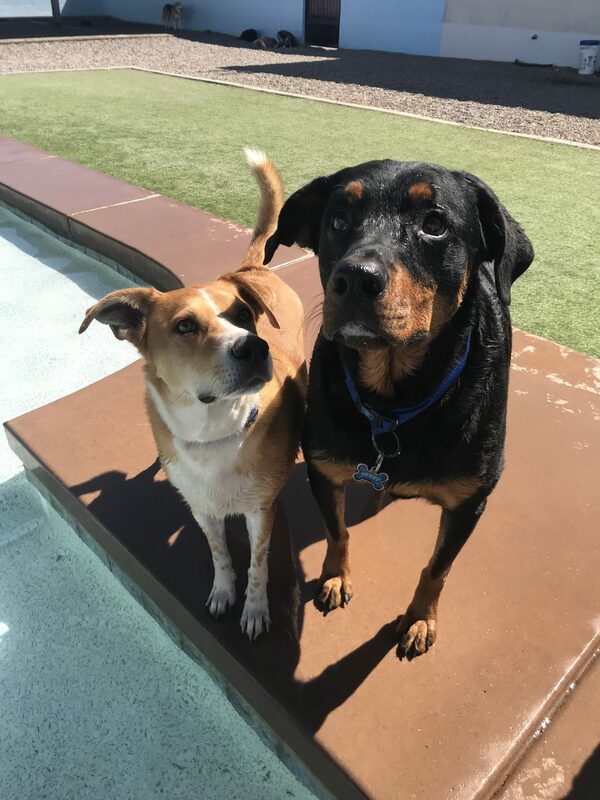 We work with you and your vet to customize a recovery plan for your dog after injury, surgery, broken backs or other challenges. 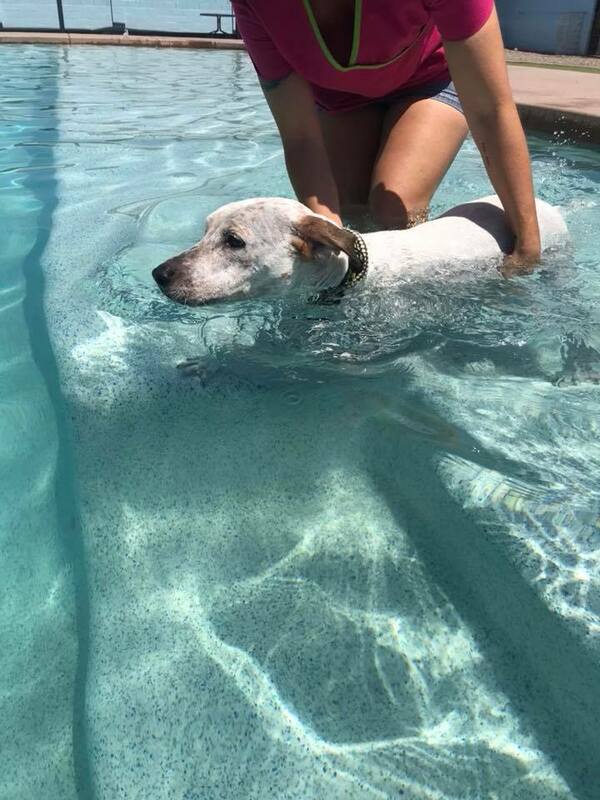 Our staff with work one on one with your pet in the pool to aid in whatever way that we can. 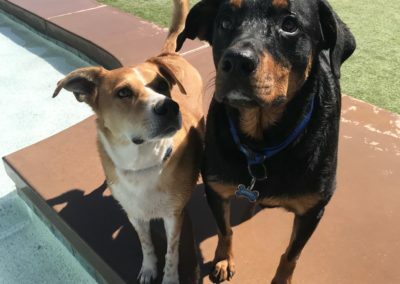 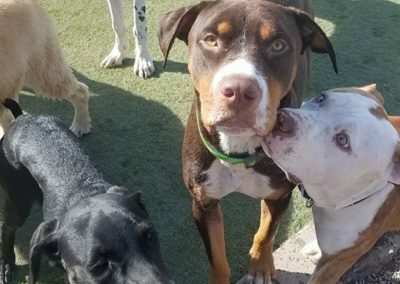 We will do our best to work with you and your pup for as long as you need us!